This article reports on the destructive and nondestructive evaluation of dry spots or patches in thick unidirectional glass/epoxy laminates. Dry spots in composites can act as weak regions potentially resulting in catastrophic failure if undetected. 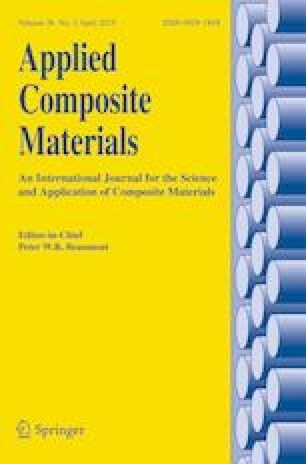 Composite samples with dry spots were fabricated and nondestructive evaluation was first carried out using non-contact air coupled ultrasonics. Two types of dryness were investigated: surface and mid-plane dryness. Both types were tested using two ultrasonic testing methods. The ultrasonic velocity was used to determine stiffness and dryness fraction maps. The results showed that the dryness could be detected and characterized using the ultrasonic nondestructive evaluation. To validate the results, a destructive analysis was carried out by cutting the sample into small pieces and burning them to obtain the weight of matrix and fibers. This was further used in micromechanics models to obtain void and dryness fractions. Both model and ultrasonic results show that dry spots result in spatial gradient of mechanical properties around the dry spot. Nondestructive characterization of dryness helps in deciding if the part must be scrapped or repaired based on the severity in terms of loss of stiffness. The authors would like to thank Ryan Krafka and Aaron Eldal from Iowa State University for their help in sample preparation, and Ajith Subramaniam for his help with micrographs. The authors would also like to acknowledge the generous support by Momentive Specialty, Stafford, Texas, for providing the epoxy and hardener used in the preparation of samples for this research.